A teenage drink-driver collided with a parked car and then left the accident scene with her younger sister. Scarlett Potts drove off in a Mini but a witness got her registration number and passed it to police who then went to the defendant’s home. 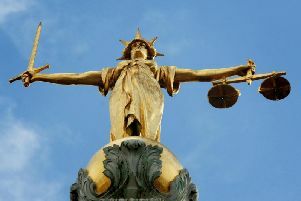 Potts, an 18-year-old part-time worker, of Little Poulton Lane, Poulton, pleaded guilty to driving with excess alcohol. She was disqualified from driving for 18 months and fined £120 with £85 costs plus £30 victims’ surcharge. Prosecutor, Pam Smith, said a retired woman was in her living room on Trunnah Road, Thornton, on August 8 at 11.40pm, when she head a loud bang and a girl scream. She saw Potts and another woman running up to her car. Police apprehended Potts at her home and when she was breathalysed the test showed she was more than twice over the limit with 84 micrograms of alcohol in her body – the limit is 35. When interviewed Potts said she had been drinking at a pub, then at a friend’s before returning to the pub and having more alcohol. Patrick Nelligan, defending, said his client, who had no previous convictions, had been upset and remorseful about what she had done. Potts had indicated at the scene she was going to go home and get her insurance documents but before she could return to Trunnah Road the police arrived. A woman accused of punching family members and chasing her sister down the street with a green knife labelled “chop” and a pink knife labelled “slice “ has made her first appearance at court. Raven Gwilliam, 20, formerly of Oxford Road, Blackpool, now living at Braithwaite Street, North Shore, pleaded not guilty to assaulting her mother, sister and a male police officer and behaving in a threatening manner. Prosecutor, Pam Smith, opposed bail for Gwilliam. She was remanded in custody to appear at Preston Crown Court on October 11. A sales manager’s romantic gesture of driving to collect an engagement ring for his girlfriend from a jeweller backfired when police stopped him. Brian English had wanted to do something nice for his partner as she was due to give birth that day but he was banned from the road when he got behind the wheel. English, 29, of Boardman Avenue, Blackpool, pleaded guilty to driving while disqualified without insurance or an MoT. He was sentenced to do 150 hours unpaid work for the community, banned from the road for three years and ordered to pay £85 victims’ surcharge. Prosecutor, Martine Connah, said police checked the Ford Focus English was driving along Waterloo Road, on July 18 at 9.20am, and it registered as having no insurance. He had two previous convictions for driving with excess alcohol and one previous offence of disqualified driving. In a report to the court, probation officer Brian Weatherington, told magistrates that English said his partner was due to give birth that day. He wanted to do something nice for her and impulsively decided to drive to a jewellers to collect her engagement ring. Two men arrived in Blackpool flush with gambling winnings. But 34-year-old Anthony Murray and 57-year-old Alan Preston were broke after a night on the town. One of them even lost his rail ticket home,Blackpool Magistrates heard so the duo from Manchester decided to raise cash in an illegal fashion. They were caught street selling packets of counterfeit cigarette they told a council public protection officer who caught them they had bought “from a man in a pub”. Murray and Preston both admitted selling counterfeit cigarettes and packets of cigarettes without a health warning. Murray also admitted breaching a suspended jail term. He was fined and ordered to pay costs totalling £590.Preston was ordered to pay £470.